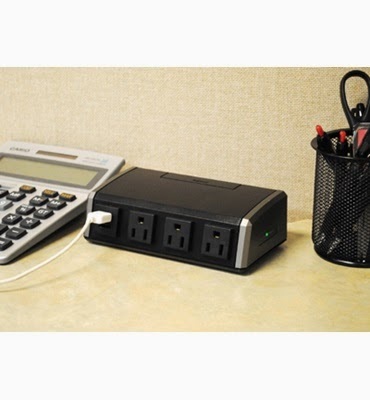 Providing power and USB charging right at the desk top or work table has never been easier. Instead of a hard-to-reach power strip on the floor, the Legrand Desktop Power Center brings easy access to power outlets and USB charging ports where they’re needed the most and ends the frustration of trying to find an extra power outlet or a way to charge USB devices. The Desktop Power Center kit includes all the hardware needed for do-it-yourself installation either through a desktop grommet opening or by attaching the unit to the edge of the work surface. Surge protection is built in, so there is no need to install an additional power management component. The 6’ power cord provides increased flexibility by extending access to a wall outlet. The Desktop Power Center’s suggested retail price is $49.99. It’s available at The Home Depot, and other retail locations. Please visit the Legrand DIY Project Corner for more information on this and other do-it-yourself projects. This will be perfect for Gerry's office, where everything can now be in one place and easy access on the desk top!